Traction Tech Council is an exclusive membership organization for industry leaders, executives and decision makers who like to stay on top of the latest technologies transforming the enterprise. The Traction Tech Council is offering WIRLC members 35 percent off a yearly membership ($1,000 value). CabinetM is a platform that helps retailers create marketing technology stacks to visualize, track and manage technology being used across their company. CabinetM is offering WIRLC members a free single-user version of its one-year membership ($2,500 value). For members who would like to implement CabinetM across their marketing team, CabinetM will extend a 10 percent discount off its list price, as well as provide onboarding at no cost. Innovation Women is an online visibility bureau helping connect entrepreneurial, technical and innovative women with event managers for speaking opportunities. Innovation Women is offering WIRLC members a discount off a yearly membership ($25 value). Learn more about the partnership here! 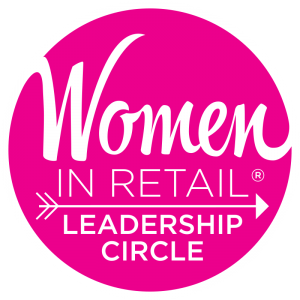 Of course there are many additional reasons to join WRLC (discounted registration to the annual Women in Retail Leadership Summit in Miami, for example), but we wanted to let you know about our existing partnerships. These are some great opportunities for your company to obtain valuable products and services for a discounted rate; we have hope you take advantage of them! If you have any questions about any of these partnerships, please feel to drop me a line at mcampanelli@napco.com. I’d love to walk you through them!